A brick wall, when installed correctly, is deemed as strong and one that can last for several decades. However, there is also the chance that the ground or foundation under the brick wall structure will shift while the mortar joints can crack or even crumble. When this happens, the bricks will definitely move. Bricks and concrete constitute the majority of waste that has been accumulated in most demolition projects. These materials have a good chance of being resold or reused which makes it easier to save on the costs of landfill and disposal. 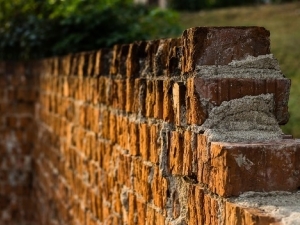 Whether you need to do a brick wall demolition in a residential or a business property, there are certain steps that you need to take in order to ensure a successful project. First, you may need to secure a demolition permit from the local building authority. The rules in securing a permit may vary and may depend on what is being adhered to in a community. While getting a permit can be a general requirement, you may be allowed to remove a freestanding garden wall without having a permit on hand. Second, determine whether you are tearing down a non-load bearing brick wall or a load-bearing type. The latter is one that supports the weight of something that is above it which can include roof trusses or a second story. When tearing it down, provisions must be made in order to transfer the weight load safely. You can call an engineer if you’re not sure whether the brick wall you are tearing down is a load-bearing type. Third, try to find a blueprint of the brick wall’s structure plan. This will allow you to learn if it contains wires or other mechanical components. You may seek the help of professionals such as a certified plumber who can terminate gas or water lines that are running in the wall and an electrician who can terminate the electrical service found at the breaker box. Fourth, find ways to provide protection to the floor around the brick wall if what you are removing is an interior type. You may use heavy canvas tarps for covering the floor and plywood sheets for catching dropped bricks. Since bricks are too heavy and regular wooden floors may not be able to withstand such weight, you should use a stem wall or a concrete foundation instead where the bricks can rest. Typically, stem walls are around 8 inches thick and can be just a few feet to several feet deep which would depend on the frost line that is present in your region. A manual tear down of thick brick walls can be labor intensive. You can make the process a bit faster by using a skid steer that has a jackhammer attached. These tools can be available for rent at a number of construction rental outlets. Wear protective gear such as goggles, a full respirator mask and a pair of thick leather gloves when handling bricks. For a fuss-free brick wall demolition, you can call our office at 1300Rubbish and we will do all the hard work for you. Just dial 1300 78 22 47 and talk to our friendly customer service team to get a free and non-obligation quote.